Professor Edmund Soji Otabe of Kyutech (Department of Computer Science and Electronics) visited Muhammad Abdus Sobhan, Vice-Chancellor of Rajshahi University, the second largest university in Bangladesh after Dhaka University, in a courtesy call on March 1, 2018. 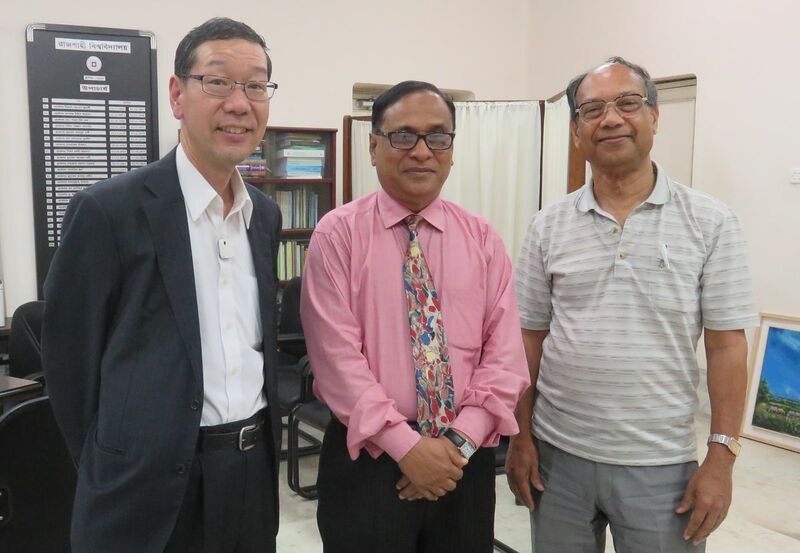 Kyutech has concluded an inter-university exchange agreement with Rajshahi University last year, and Professor Otabe was visiting former vice-chancellor Muhammad Mizan Uddin. In order to be able to continue various exchange programs, we held several meetings including Sakura Science Plan. It is expected that further exchange between the two universities will develop in the near future.